OCR software is one of those few software programs that you surely can't afford not to have as it can do so much for you than you would possibly imagine. This highly fascinating software is very useful and helpful when it comes to converting documents into digital formats in the shortest time possible. To do this, you will need to use a scanner and then use the software to change the letters, typewritten text, photographs and images into data which your computer can recognize. It is not a wonder that this technology has been rated as the best when it comes to digitizing printed documents or texts and images. With the best OCR software, you can be able to reap the full benefits of this highly remarkable piece of technology that is designed to make your work much easier. Using iSkysoft PDF Editor 6 Professional for Mac basically involves following some simple steps and this will get the job done sooner than you even know it. The initial step is to launch the program and click the "Open File" button to open your PDF file. You can also navigate to the gray header bar and click "File > Open" to load your file. After the file has been loaded in the program, you can then click the "OCR" button under the "Edit" tab of the interface. And then select an OCR language you prefer from the pop-up window. Click "Perform OCR" to confirm your choice. Note: If you haven't seen the "OCR" button, you can click the "Edit" button to switch the options on the toolbar. PDF Converter Pro for Mac from iSkysoft is one of the most powerful, stable, and reliable PDF converter programs available on the internet. You can use it to convert any PDF document, into Word, Excel, Image, Text, and EPUB formats, or other editable documents. 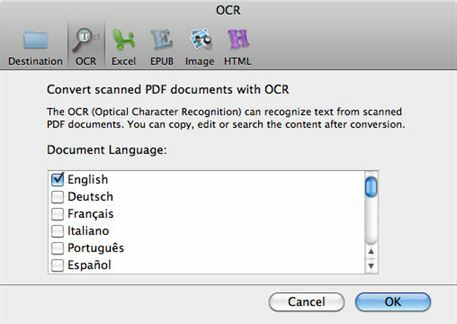 The OCR conversion software supports 17 languages, including English, French, Spanish, German, Italian, Russian, and many more. Some other features of the program include exporting files to Office and other formats, 100% original layouts and formats, batch and partial conversion, or encrypted PDF conversion. You can buy it for only $79.95, with a 30 day money back guarantee policy, or you can try the free trial first, but it comes with limited features. From all the three OCR software presented above, we strongly recommend you to choose iSkysoft PDF Converter Pro for Mac. It is the best combination between a professional OCR program, cool features, reliability, and cost and effectiveness. You don't have to pay hundreds of dollars for it, but you still get a powerful program, which will help you to digitize any printed documented into a perfect editable file. Here is a step by step guide on PDF document OCR. 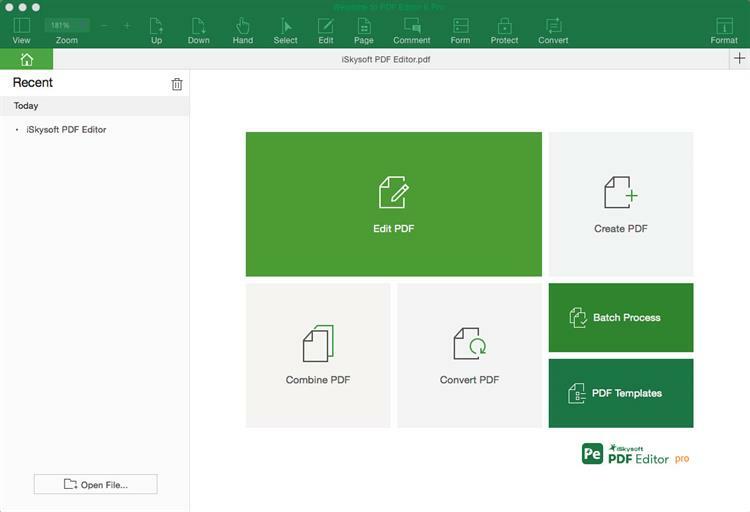 Launch the program and then drag and drop the PDF files that you've scanned to the program. In addition, you can click go the gray header bar and click the File menu. Then select the Add PDF File option to browse your documents. There are 17 languages offered. You can go to PDF Converter Pro for Mac > Preferences > OCR to choose a language according to your needs. 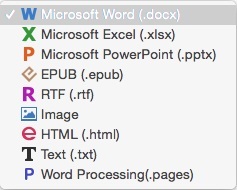 Before OCR the file, you need to click the Gear icon to select the format you want the text extracted into. There are several options, including Microsoft Office, Excel, Power Point, and many others. 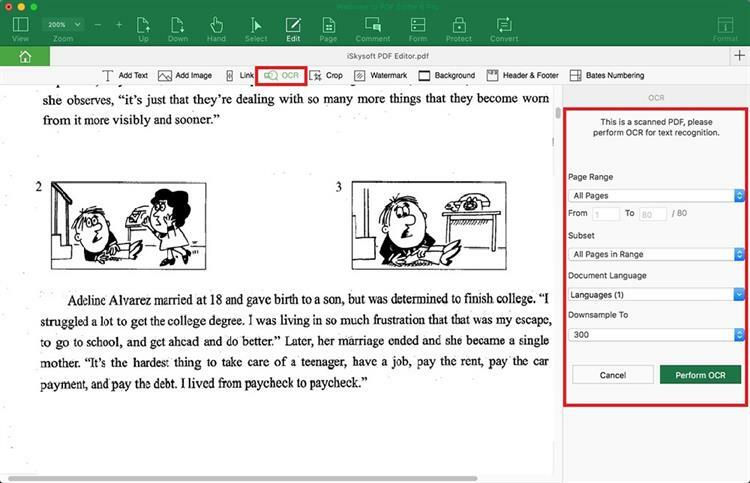 Then tick the Convert Scanned PDF Documents with OCR option at the bottom of the interface. Start the conversion by clicking the Convert button. Depending on your document size, it should be done in few minutes. iSkysoft PDF Editor 6 Professional for Mac and iSkysoft PDF Converter Pro for Mac are with no doubt the two best OCR software programs available on the market today that you can take full advantage of. You can rest assured that you stand to reap so many benefits and these are software programs that you certainly can't afford to miss at any given time. You have every reason as to why you should invest in these programs and you can be sure that you will be able to get accurate results right away.